I can now say that I have seen it all. 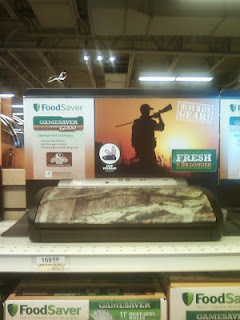 This is a Food Saver in hunter camouflage. Thank God my curmudgeon didn't want one. We found this while shopping at Bass Pro Shop. This is one more toy for the outdoor curmudgeon.